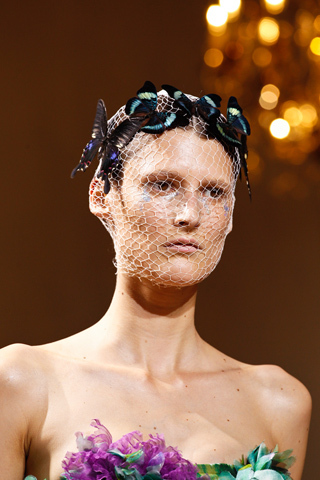 We are currently coveting the exquisite butterfly clips which adorned the models at the Giambattista Valli’s Haute Couture show. The styling hinted at a mystical land where fairies were found at the bottom of the garden. 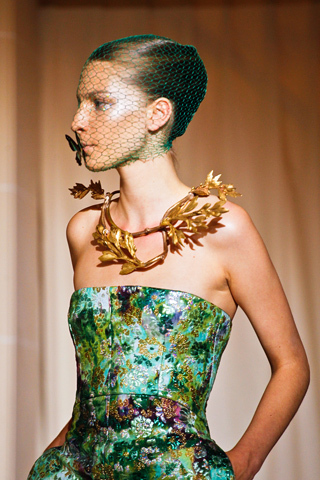 The fashion reverie continued with a gold accoutrement which took the form of autumn leaves. 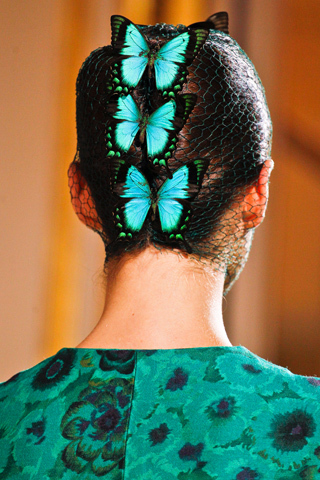 Bring a little fantasy to your special day by adding a butterfly detail to your bouquet or to your bridesmaid’s up do.